Dell unveiled the Latitude 7000 Series ultrabooks, Latitude 5000 Series and Latitude 3000 Series laptops, all featuring touchscreen display options and Dell Data Protection | Protected Workspace. Dell announced earlier today the three new additions to its Latitude line of commercial PCs, namely the Latitude 7000 Series ultrabooks, the mid-range 5000 Series and the low-end Latitude 3000 Series laptops. All these three new models offer a wide range of options, including touch display and various Intel Haswell processors. Next, the Latitude 5000 is a new laptop designed to be secure, reliable and manageable. Most of its specs have not been revealed yet, but it is known that it will use a Core i7 ULV processor to extend battery life, a discrete graphics option and SSD or hybrid drives. Display: 14 or 15.6-inch, offering 1366X768, 1920X1080, or 1366X768 touch options. The Latitude 5000 is expected to arrive in October. More information about these new models can be found in the press release below. BEIJING, August 27, 2013 - Dell today unveiled the newest additions to its secure, manageable and reliable line of commercial PCs: the Latitude 7000 Series Ultrabooks™, Latitude 5000 Series and Latitude 3000 Series laptops. With this new suite, Dell balances sophisticated design, quality construction and uncompromised durability to offer businesses of all sizes a wide variety of solutions. The Latitude 7000, 5000, and 3000 Series are available with touch display options, leading the way for business touch devices that enable better interaction with customers, enhanced student engagement, improved patient care, and collaboration among knowledge workers. "These exciting new additions to the Latitude line provide our commercial customers with what they've been asking for by bringing touch capability to the workspace at desirable price points," said Kirk Schell, vice president , commercial computing group at Dell. "The new Latitude 7000 Series builds on the success of the award-winning XPS and Latitude 6430u to redefine the corporate laptop, complete with security, manageability, reliability and beautiful design. And with the Latitude 5000 and 3000 Series, we've addressed the needs of today's dynamic workforce by enabling easy entry into business-class computing." Dell offers the world's most secure commercial laptops and the Latitude 12 and 14 7000 Series are the world's most secure Ultrabooks, with best-in-class Dell Data Protection solutions, comprehensive encryption with Dell Data Protection| Encryption and advanced authentication and leading-edge malware prevention with Dell Data Protection| Protected Workspace. Engineered to help save IT time and money, Dell offers the industry's most manageable commercial PCs with exclusive Intel vPro extensions for remote BIOS management and hard drive wipe, even when systems are powered off, paired with Dell automated tools and utilities for easily deploying, monitoring and updating systems. Dell's passion for reliability is epitomized by the Latitude commercial PC family. Each Latitude Ultrabook and laptop are crafted using the best materials: brushed aluminum, reinforced magnesium alloy, strong steel hinges, woven carbon fiber, durable powder-coated underside, spill-resistant keyboards and LCD seals. Additionally, all Dell touch-enabled displays offer optimal viewing experiences, touch sensitivity, brightness and durability. The Latitude 7000, 5000 and 3000 Series touch displays offer Corning® Gorilla® Glass NBT™ for up to 10 times higher scratch resistance1 compared to soda lime glass which is the predominant material used in laptop screens throughout the industry. Latitude laptops also come armed with StrikeZone™ shock absorbers, Fast Response Free-Fall sensors and rubber hard drive isolation. For the previous three product generations, the Latitude family has outperformed its competition in third-party durability testing, known as MIL-STD 810G. The sleek and powerful Latitude 7000 Series are the most secure and manageable Ultrabooks, with outstanding reliability, and epitomize mobility at its finest with business-class style. Touted as the Ultrabook to be loved by IT professionals and end-users alike, and powered by Intel ultra-low voltage processors, these thin, light and beautiful Ultrabooks completely redefine the corporate laptop. 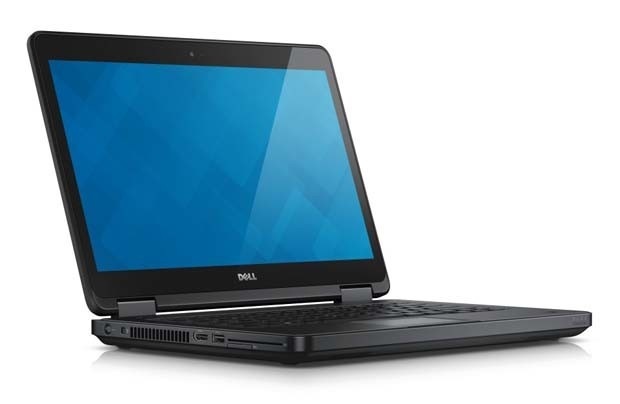 The Dell Latitude 7000 Series begins at $1,049 USD and is available worldwide today with touch-enabled systems available September 12, 2013. The Latitude 3000 Series begins at $599 USD and is also available on September 12, 2013. The Latitude 5000 Series will be available in October 2013.